The race is still a touchy subject for many people in most parts of the world. While it’s generally easy not to offend people of other races, it becomes trickier when you are partaking in interracial dating. 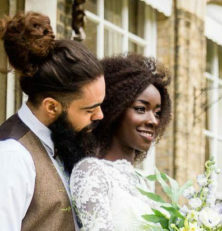 Interracial dating, especially black women white men dating, is rife with stories of partners that are well-intentioned, but unintentionally racist. From assuming that your black girlfriend must be loud and wild all the time, to assuming that Asian women like being submissive in relationships, stereotypes do play a big part in how people perceive each other while dating interracially. That’s why self-education is so important. It is not the job of your black boyfriend to explain to you why it’s offensive to lump his whole family into the ‘ghetto’ stereotype, nor is it the job of your Indian girlfriend to explain why making fun of Indian accents isn’t cool. Once again, most people aren’t being intentionally malicious when they do these things. But the responsibility is on you to educate yourself. While it’s not the job of your partner to explain the nuances of racism to you, they usually won’t mind some questions about their experiences with racism and how it has impacted their lives. Listen to them patiently and without interrupting. Something that may seem silly and inconsequential to you – like assumptions of personality traits – could be a thorn in their side that has influenced their life experience. By listening to their personal experiences, you will be able to be a better partner to them in the future. When it comes to the questions that would make them roll their eyes (like “Why is it offensive to sing along to rap music?”), Google is your best friend. You will be able to learn a lot about the history of their culture and how they may have been oppressed by other races – maybe even your own. Learning about this will help you understand why it’s not cool to be doing and saying certain things, no matter how comfortable you may feel in the relationship, and no matter how little malicious intent you may have. The best way to learn the ins-and-outs and nuances of a culture? Immerse yourself in it. This isn’t saying that you should appropriate it – don’t try and copycat your partner or their friends – but learn more about it. There is a big difference between appropriating and appreciating, a difference that you can easily learn by reading one of the many articles on the topic online. If you’re dating a Native American, for example, it would be highly offensive to show up to one of their family gatherings in traditional native apparel. It would not be offensive to take part in family traditions when invited, however. This is the basic difference. Hanging out with the friends and family of your partner is something that will help you build a healthy interracial relationship that will last a lifetime as well, so it’s really killing two birds with one stone.